This article is about the artificial grass. For the marketing and political campaigning practice, see astroturfing. AstroTurf is an American subsidiary that produces artificial turf for playing surfaces. The original AstroTurf product was a short-pile synthetic turf. Since the early 2000s, AstroTurf has marketed taller pile systems that use infill materials to better replicate natural turf. The prime reason to incorporate AstroTurf on game fields is to avoid the cost of laying and maintaining natural turf and to maximize hours of usage. In 2016, AstroTurf became a subsidiary of German-based SportGroup, a family of sports surfacing companies, which itself is owned by the investment firm Equistone Partners Europe. The original AstroTurf brand product was co-invented in 1965[contradictory] by Donald L. Elbert, James M. Faria, and Robert T. Wright. It was patented in 1965 and originally sold under the name "ChemGrass". It was rebranded as AstroTurf by a company employee named John A. Wortmann after its first well-publicized use at the Houston Astrodome stadium in 1966. Early iterations of the short-pile turf swept many major stadiums, but the product did need improvement. Concerns over directionality and traction led Monsanto's R&D department to implement a texturized nylon system. By imparting a crimped texture to the nylon after it was extruded, the product became highly uniform. In 1987, Monsanto consolidated its AstroTurf management, marketing, and technical activities in Dalton, Georgia, as AstroTurf Industries, Inc. In 1988, Balsam AG purchased all the capital stock of AstroTurf Industries, Inc. In 1994, Southwest Recreational Industries, Inc. (SRI) acquired the AstroTurf brand. In 1996, SRI was acquired by American Sports Products Group Inc. While AstroTurf was the industry leader throughout the late 20th century, other companies emerged in the early 2000s. FieldTurf, AstroTurf's chief competitor since the early 2000s, marketed a product of tall-pile polyethylene turf with infill, meant to mimic natural grass more than the older products. This third-generation turf, as it became known, changed the landscape of the marketplace. Although SRI successfully marketed AstroPlay, a third-generation turf product, increased competition gave way to lawsuits. In 2000, SRI was awarded $1.5 million in a lawsuit after FieldTurf was deemed to have lied to the public by making false statements regarding its own product and making false claims about AstroTurf and AstroPlay products. Despite their legal victory, increased competition took its toll. In 2004, SRI declared bankruptcy. Out of the bankruptcy proceedings, Textile Management Associates, Inc. (TMA) of Dalton, Georgia, acquired the AstroTurf brand and other assets. TMA began marketing the AstroTurf brand under the company AstroTurf, LLC. In 2006, General Sports Venue (GSV) became TMA's marketing partner for the AstroTurf brand for the American market. AstroTurf, LLC handled the marketing of AstroTurf in the rest of the world. In 2009, TMA acquired GSV to enter the marketplace as a direct seller. AstroTurf, LLC focused its efforts on research and development, which has promoted rapid growth. 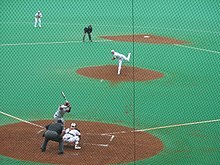 AstroTurf introduced new product features and installation methods, including AstroFlect (a heat-reduction technology) and field prefabrication (indoor, climate-controlled inlaying). AstroTurf also introduced a product called "RootZone" consisting of crimped fibers designed to encapsulate infill. This product has been adopted by many professional organizations and colleges in the United States. In 2016, SportGroup Holding announced that it would purchase AstroTurf, along with its associated manufacturing facilities. The AstroTurf brand now operates in North America as AstroTurf Corporation. First major installation of AstroTurf (ChemGrass) at the Houston Astrodome indoor stadium for the Houston Astros. The infield portion was in place before opening day in April; the outfield was installed in early summer. AstroTurf is first installed in an outdoor stadium—Memorial Stadium at Indiana State University in Terre Haute. AstroTurf manufacturing facility opens in Dalton, Georgia. The backyard of The Brady Bunch house between the service porch and garage and under Tiger's kennel is covered with AstroTurf. According to script development notes, the installation firm hired by Mike to lay the turf was owned by his college roommate, who had just started a landscaping business after returning from a combat tour in Vietnam with the 18th Engineer Brigade. However, in keeping with studio instructions, no direct mention of the war in Vietnam appeared in the script. The scene in which the installation takes place was ultimately cut, so never appeared in the series. The 1970 World Series is the first with games on AstroTurf (previously installed at Cincinnati's Riverfront Stadium), as the Reds play the Baltimore Orioles. The CFL's Hamilton Tiger-Cats install AstroTurf at their home stadium, Ivor Wynne Stadium, in preparation for hosting the Grey Cup game the next year. The Kansas City Chiefs home field of Arrowhead Stadium and the Kansas City Royals home field of Royals Stadium ( now Kauffman Stadium ) open in Kansas City, Missouri, with AstroTurf playing surfaces. The Buffalo Bills' home field of Rich Stadium (later Ralph Wilson Stadium and now New Era Field) opens in Orchard Park, New York, with an AstroTurf playing surface. The Miami Dolphins face the Minnesota Vikings on AstroTurf (the first Super Bowl played on the surface, but not the first to be played on artificial turf; that was Super Bowl V with Poly-Turf) in Super Bowl VIII – Rice Stadium, Houston, Texas. The first international field hockey game is played on AstroTurf at Molson Stadium, Montreal. The Philadelphia Phillies and Kansas City Royals play the entire 1980 World Series on AstroTurf in their ballparks. AstroTurf installs the first North American vertical drainage systems in Ewing, New Jersey, at Trenton State College (now known as The College of New Jersey). The St. Louis Cardinals and Minnesota Twins play the entire 1987 World Series on AstroTurf in their ballparks. The first E-Layer system (Elastomeric) is installed at William and Mary, as well as University of California, Berkeley. The 1993 World Series was the fourth (and last) World Series to be played entirely on artificial turf, following those in 1980, 1985, and 1987, and the last to have any games played on turf until 2008. As of 2017, only two MLB teams still play on artificial turf, and both are in the American League East and play on next-generation AstroTurf: the Toronto Blue Jays and the Tampa Bay Rays. Edward Jones Dome installs AstroTurf's Magic Carpet System, a fully retractable field, for the St. Louis Rams. AstroTurf introduces Golden Series turf systems, featuring a dense carpet structure over a pad and an infill which absorbs water to cool the field. June 28, 2016 AstroTurf announces it would be bought by SportGroup, a German-based sports surfacing company. The acquisition would form the largest sports surfacing company in the world. ^ a b "Ownership". AstroTurf. Retrieved 9 February 2019. ^ "History". AstroTurf. 2016-05-16. Retrieved 2017-05-30. ^ "AstroTurf Sale to SportGroup Finalized". AstroTurf. 2016-08-20. Retrieved 2017-05-30. ^ Weeks, Jennifer (2015). "Turf Wars". Distillations Magazine. 1 (3): 34–37. Retrieved 22 March 2018. ^ "Southwest Recreational Industries, Inc. Reaffirms Jury Decision". prnewswire.com. 8 January 2001. ^ "SRI's bankruptcy puts customers on new turf". Austin Business Journal. ^ "History Timeline – AstroTurf". astroturf.com. Archived from the original on 2013-04-08. ^ "AstroFlect". astroturf.com. Archived from the original on 2013-09-26. ^ "Prefabrication". astroturf.com. Archived from the original on 2013-09-26. ^ "Installations – AstroTurf". astroturf.com. Archived from the original on 2013-05-15. ^ "SportGroup Holding Purchases AstroTurf, SYNLawn, and Associated Manufacturing Operations | | AstroTurf". Retrieved 2016-07-12. ^ "History Timeline | AstroTurf". astroturf.com. Archived from the original on January 4, 2014. ^ "1970 World Series by Baseball Almanac". ^ "Page Not Found". FOX Sports. Archived from the original on 2007-02-25. ^ "Percival Molson Memorial Stadium".